So you have invested time and money in creating a website and you've considered the greater plan moving forward, in terms of what you expect it to do for your business. Unfortunately, so often this is not thought through properly. Let's take a look at best practice for building your SEO strategy. Often a website is not the focus of a business plan, especially if coming from a ‘Bricks & Mortar’ background. It's often a bolt on consideration. The problem often being that if not treated as seriously as a physical entity, it can often fade away and not deliver the results that you were counting on! From the outset, careful thought needs to go into planning your website and especially the thinking behind its ’reason for being.’ A very careful consideration should be the strategy that surrounds the Search Engine Optimisation that will form the crux of its success – driving visitors (potential customers) to it. During one of our recent seminars where we looked at SEO, we asked our audience a number of questions and also provided some key pointers for their businesses. I would like to share just some of these with you over the course of a series of blog posts where we look at SEO and how it can affect your website presence. Do you have an SEO strategy in place for your business? The diagram above simply illustrates the phases that need to be considered. We see search marketing strategy as a cycle that begins with DISCOVERY in which you need to develop a deep understanding of your objectives, markets, customers, search terms, targets and opportunities. Following this, the STRATEGY can be developed, as well as a reporting framework for you to review and refine your activity. Within this framework, you will look to plan a number of key SEO actions. Once planned, these need to be implemented and monitored to see the impact. Then at the more granular level, these findings need to be considered within the next Action Planning phase if adjustments are required and again implemented. These smaller cycles should then be fed back into the core strategy to discover the impact they are having at the higher levels and to refine the overall strategy. By maintaining a constant Strategy Cycle you will be ideally placed to build and maintain your position in your chosen market(s). Do you have KPIs and targets in place for the website? Do you invest time in producing quality content for your website? These and other key questions will be looked at in future posts. But, for now take a look at Hubspot's 13 of the Best SEO Tools for Auditing and Monitoring Website Performance - these tools are critical to your organic search strategy because they allow you to focus on the elements of your site that Google deems important. If you need help with any of the areas covered, please feel free to give us a call (01202 788333) or email us - we can arrange a consultation meeting to discuss your marketing needs. 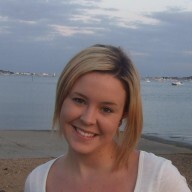 Alice is the Content Marketing Executive at LexisClick Online Marketing. With a background in media and publishing, she's savvy with spelling, grammar and punctuation. She knows how to pack a punch in each paragraph! Alice also has a keen eye on social media and enjoys managing multiple accounts for various clients.